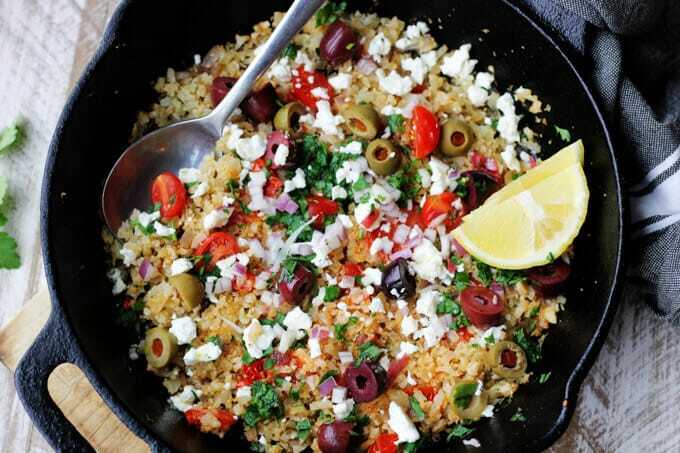 Cauliflower Fried Rice Mediterranean Style is a super quick, healthy and delicious dish that can serve as a vegetarian main dish, or as a yummy side dish. 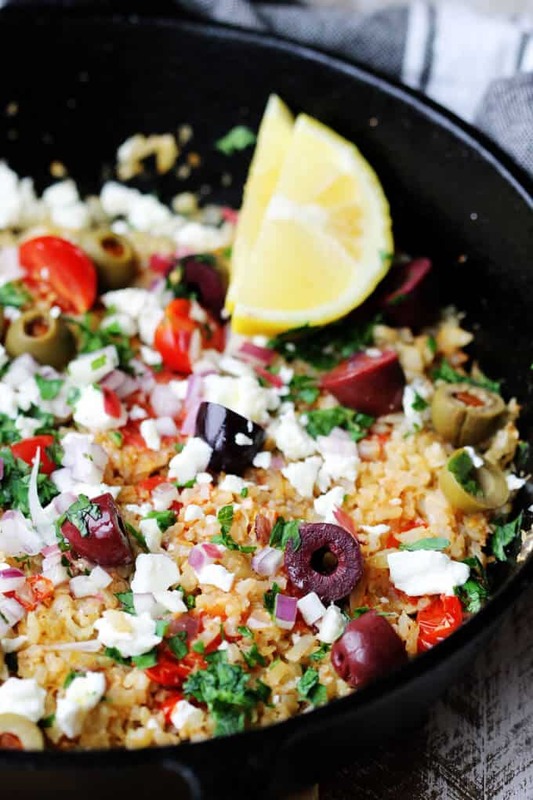 You just need 15 minutes and a handful of ingredients, like cauliflower (or riced cauliflower), onions, tomatoes, feta and olives. If you’re feeling sluggish after all this Holiday indulgence, you may need this simple and healthy meal on your plate (affiliate link) ASAP. It’s very light (very low on calories, carbs & Keto friendly), tasty (it packs all the Mediterranean flavors) and it takes no time to prep. I mean, really, you need no more than 15 minutes. 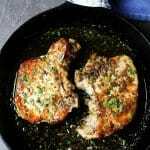 Serve it as a main dish or a side dish. Cauliflower rice, or riced cauliflower, is nothing more than simple cauliflower added to the food processor (affiliate link) and pulsed few times until the cauliflower is broken down into tiny granules. It’s reminiscent of couscous, in size, but rice in texture. If you don’t have food processor (affiliate link), you can still make riced cauliflower by using a grater. If you have a whole cauliflower head, then you just need to remove the leaves, cut off the base of the root and chop the cauliflower into florets. Then either add to food processor (affiliate link) or grate. From one head of cauliflower you can make about 4 cups of riced cauliflower. You can see how I made it in this recipe for Cauliflower Crust Pizza Bites. There are plenty of recipes out there for Cauliflower Fried Rice but most of them are using an Asian fusion ingredients usually found in fried rice. Obviously they feature soy sauce as their primary seasoning. Don’t get me wrong, I think this kind of cauliflower fried rice is delicious and I make it often for myself, but here I wanted to give you a little bit of a different option. One that focuses on tastes and flavors from around the Mediterranean Sea. 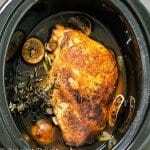 For this recipe I used store bought Riced Cauliflower from Trader Joes (the one from the freezer section). They also have Riced Cauliflower in the fridge section, but I don’t recommend this one, unless will use it immediately, this cauliflower will likely go bad. Either “rice” it yourself, or use this frozen cheat. You won’t even need to defrost it. It cooks super quick. Also know that other stores are now carrying riced cauliflower in their freezer sections as well. Chose whichever you prefer. What to serve this Cauliflower Fried Rice with? Once cauliflower is cooked add parsley, lemon juice**, remaining olive oil and check for seasoning. Add salt and pepper as desired. At the end add feta and remaining fresh onions and serve. *You can use frozen store bought cauliflower rice; if you use fresh cauliflower head, remove the leaves and cut the cauliflower into florets. 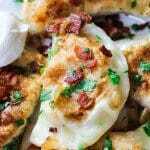 Use half of the cauliflower for this recipe. Eater add cauliflower to food processor and pulse few times until cauliflower is granulated or use grater and shred it. **I used half a lemon juiced, but the amount of acidity is a personal preference. Start with just a little squeeze (half a teaspoon) and if you think you need more lemon juice the whole half. You can add more fresh tomatoes on top. 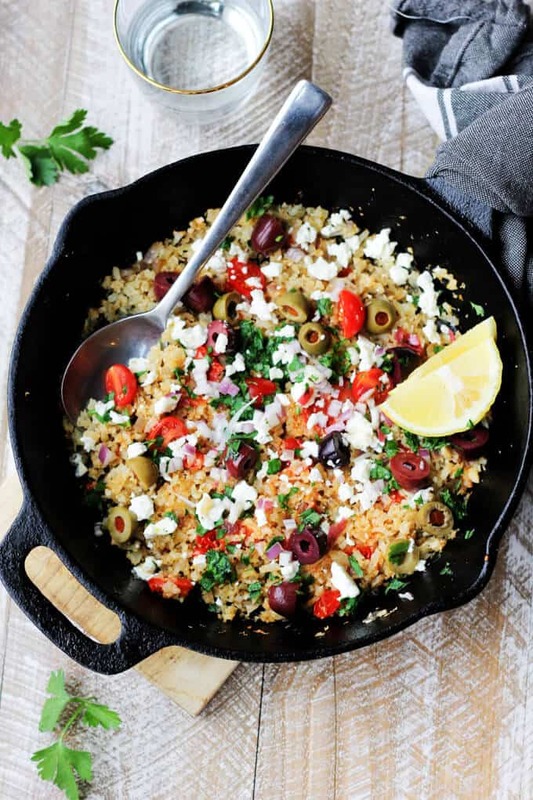 I’ve never seen cauliflower rice done this way and it looks fabulous! Excellent flavors and colors here. I’ve pinned and am looking forward to trying it out! Thank you so much Danielle. I hope you’ll like it! 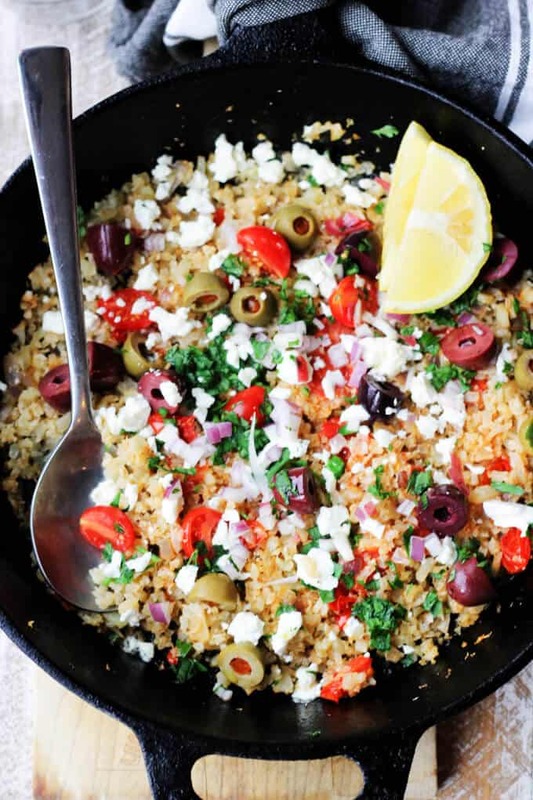 I have been wanting to try cauliflower rice and this looks like a super flavorful recipe to start with! Thank you Carlee. I hope you will like it! 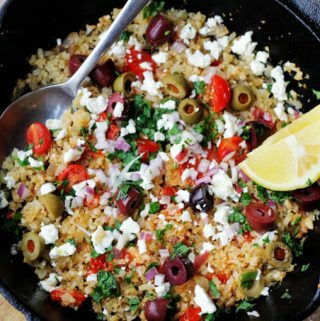 I don’t always love cauliflower rice, but I’m absolutely LOVING the idea of it fried and Mediterranean style. This is a gorgeous dish!! Yum, I love making cauliflower fried rice but you have really elevated this dish with your own spin. I can’t resist a meal with a healthy dose of olives and cheese! Yes, me too! I can eat olives and feta all the time!